The Eighth International Conference on Islamic Economics and Finance is jointly being organized by the Qatar Foundation’s Faculty of Islamic Studies (QFIS) through its Islamic Economics and Finance Center, the Islamic Development Bank Group through its Islamic Research and Training Institute (IRTI), the International Association for Islamic Economics and the Statistical, Economic & Social Research & Training Centre for Islamic Countries (SESRIC) with the support of other stakeholders. The Conference will provide a platform for dialogue and discussions between policymakers, academics, researchers, graduate students, and practitioners to address the problems of poverty alleviation, inclusive economic growth, and macroeconomic stability from the perspective of the Islamic Economics and Finance discipline. 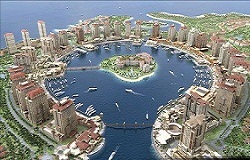 The Conference will be held for three days during December 19 – 21, 2011 in Doha, Qatar. The objective of the Conference is to mobilize quality policy oriented and basic research in the field of Islamic economics, banking and finance, with a focus on issues related to growth, equity, and stability. Lessons are to be learned from the current financial crisis. There is currently a growing demand for a new economic and financial system. The Conference will provide a platform for dialogue and discussions between policymakers, academics, researchers, graduate students, and practitioners to address the problems of inclusive economic growth and macroeconomic stability from the perspective of the Islamic Economics and Finance discipline. Kindly see "Call for Papers" for a more thorough list of themes and topics. Theoretical and empirical research papers are invited in Arabic and English languages for submission to the Conference in the following and related areas. The topics listed here are not meant to be exhaustive. They are only meant to guide interested parties, and to help stimulate ideas for research. Faith, values, and economic development. Economic doctrines and values of Islam. Role of Islamic principles in the microeconomic institutions, exchange and market discipline. Effects of Islamic principles on the macroeconomy and its management - fiscal, monetary and financial policies. Implications of Islamic economic values and institutions for inclusive economic growth, poverty reduction, sustainable development and economic stability. Case studies on economic development from the OIC member and observing nations, and the role of Islamic economics, banking and finance to this development. Lessons for Islamic economics, banking and finance from outside the OIC region. The impact of the global financial crisis on Islamic economics and finance, and the lessons to be learned. The need for entrepreneurship development. Women and their participation in entrepreneurship and the labour force in the OIC region and in the Islamic financial industry: its determinants, challenges, and current state. Knowledge economy and its relationship to inclusive economic growth. Investment in human capital, and the challenges of human capital flight. The importance of access to finance and its present state. The role of Zakah and Awqaf: issues in performance measurement and accountability. The use of Islamic banking and finance to remove barriers of access to financing. Challenges facing education and training institutions teaching Islamic economics as a scientific discipline. Islamic finance, Zakah, Awqaf and developing practical and implementable modalities for enhancing the access of micro, small and medium enterprises to financial services. Reforms of macroeconomic management and governance. Reforming public sector resource mobilization and allocation based on genuine Islamic economics and finance principles. Resilience of Islamic financial services industry. The role of internationally mandated institutions (The Islamic Development Bank, Accounting and Auditing Organization for Islamic Financial Institutions, Islamic Financial Services Board, International Islamic Financial Markets, International Islamic Liquidity Management Corporation). The challenges of authenticity, financial product development, competition and sustainability. Enhancing the effectiveness of legal, regulatory and support infrastructure for Islamic finance.